The Wharton finance professor discussed his bullish predictions for the Dow on Wednesday on CNBC's "Halftime Report." Siegel credits low interest rates as the catalyst to send stocks soaring. 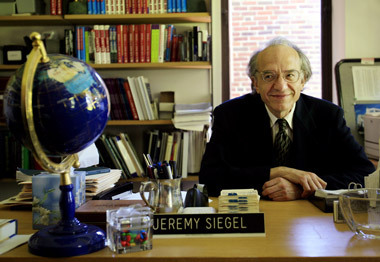 The Dow broke 17,000 for the first time on Thursday, and Siegel’s expectations are that it will continue to climb. But Siegel did add that the next 6-12 months could see “a lot of volatility in the market” and a limit for stock prices.